In today’s world, should you really be complimenting women? The difference between women and men is that women are used to compliments and men are not. You shouldn’t be throwing out compliments, especially when it’s a compliment that you don’t really mean. For instance, if you go up to a woman and say “Hey, I think you’re very attractive and have gorgeous eyes”, she’ll know that you aren’t being sincere. Instead, if you’re going to compliment women, you should use a spontaneous, sincere and original compliment. For example, noticing how her jewelry is captivating. Usually the best compliments are when they are coming from another woman since this tends to happen a lot less. If you’re going to throw in a neg instead of a compliment, then you can experiment by saying she looks a little older, or by simply asking if her nails are real, little things like that might make her chase you a little more for attention. However, when you throw a neg, make sure it’s not entirely negative. Your negs should always be light and playful. If instead it comes off as an insult, you’re going the wrong way. Just try it as a social experiment and observe the results. If you think that insulting women will help you pick up women, then you’re dead wrong. I think this is the first lesson that most guys learn when they start experimenting with negs. They usually go overboard and completely missing the point. 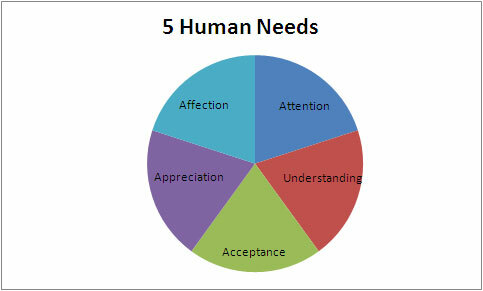 Instead, realize that humans have 5 emotional needs that need to be met in order to establish a deep rapport. ATTENTION – We all need a little attention, and acknowledgment that we exist. UNDERSTANDING – Even though it’s nice to know that others know we exist, we like having the feeling that others have an idea of how we feel about the world around us. ACCEPTANCE – This means showing the person you value being with them,in spite of their behaviors and attitudes that might not be praiseworthy. APPRECIATION – We like our good and redeeming qualities to be genuinely recognized. AFFECTION – Reassurance that, in spite of comparisons with others, we’re still special. If you decide to compliment on something that EVERYONE else compliments on then at the very worst it will sound fake and in the best case scenario you still haven’t done anything special to differentiate yourself from the other guys. If a girl tells me “Hey, you’re really smart”, I think to myself… “Ok, so what? Everyone tells me that”. Instead, if it’s a compliment that I never hear, it will get my attention and make me want some more. So if you’re going to compliment women, find something that people don’t normally compliment on. It’s really hard to find the balance between complimenting and negs. I like to bounce back and forth between them and I find that women react really well to that. Took me a while, once I insulted a girl that I really liked… never recovered from that one. Gotta lose some to learn! Don’t ever insult a girl, she’ll remember long after even if you’re successful with her!